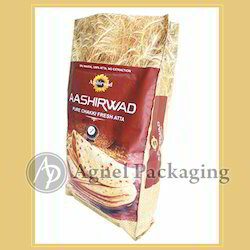 With our experienced work force we are engaged in manufacturing, exporting and supplying high quality Chakki Atta Bags/Wheat Flour Bags. Our Designs are done from the Expert Designers who are well qualified in this industries from Many years,so they can always suggest the Right colour combination & can save the cylinder cost accordingly. Looking for Chakki Atta Bags ?